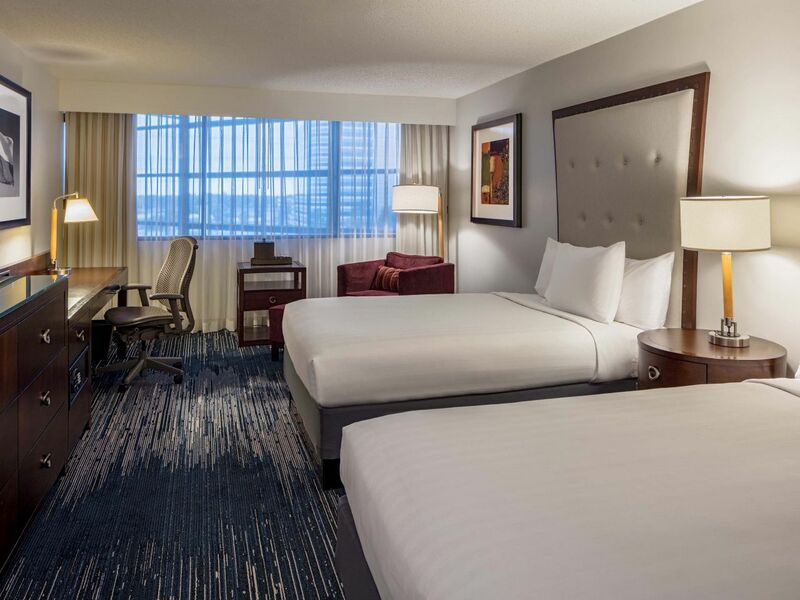 Hyatt Regency Houston Intercontinental Airport is a tour de force of hospitality, newly renovated with a blue tone décor and an ideal location off Sam Houston Parkway and Beltway 8. The Lone Star State’s largest city is yours to explore, Visit The Woodlands to the north or Houston Zoo and NRG Stadium to the south. A sweeping six-story lobby, hand-designed outdoor pool and waterfall, full-service restaurant and stylish, modern guestroom awaits your return. Experience Sam's Restaurant and Bar with its casual atmosphere and fresh, regional cuisine. 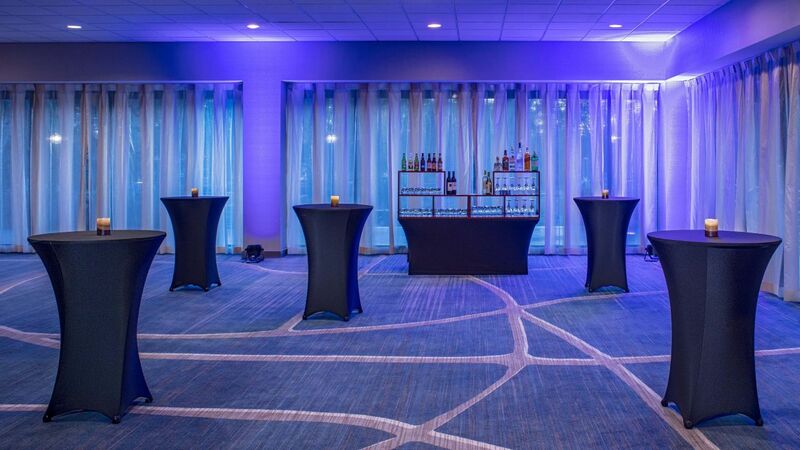 Whether you are hosting a business meeting, social gathering or wedding extravaganza, Hyatt Regency Houston Intercontinental Airport has the space you need. 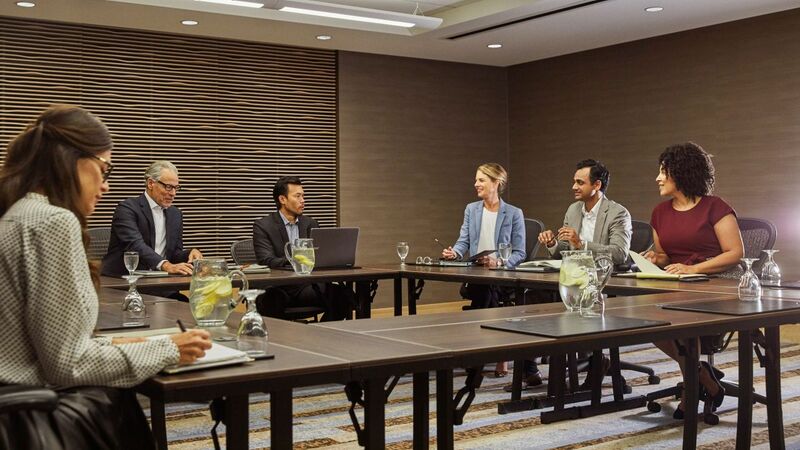 In fact, we have more than 27,000 square feet of flexible meeting space that we can customize to your exact specifications. 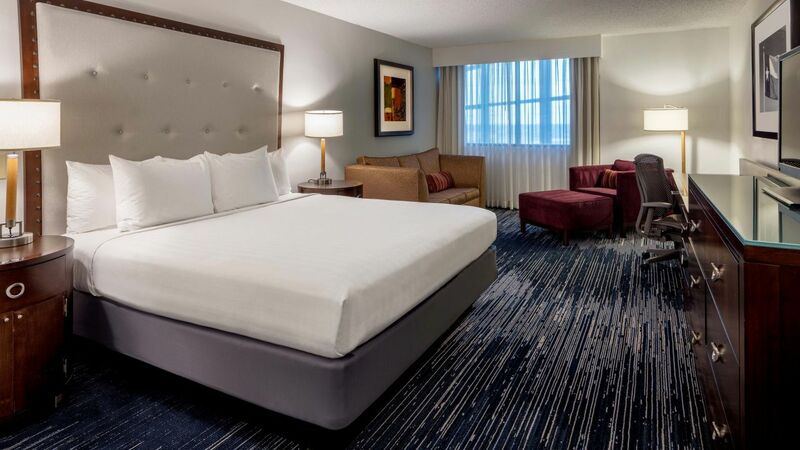 Once you check into one of our spacious rooms or suites, you’ll never want to leave. 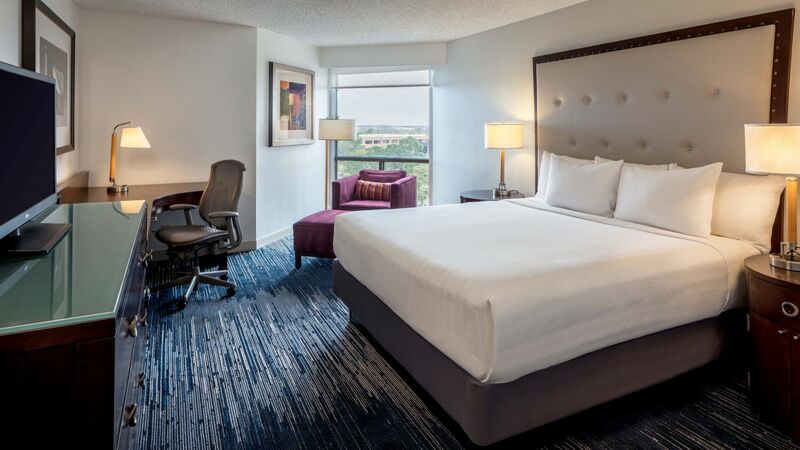 At Hyatt Regency Houston Intercontinental Airport, we want to become your home away from home while you’re enjoying everything Houston has to offer. Stay productive and connected at the Hyatt Regency Houston Intercontinental Airport, a modern Houston business hotel with everything you need to work smarter, get inspired and relax after a busy day of meetings. 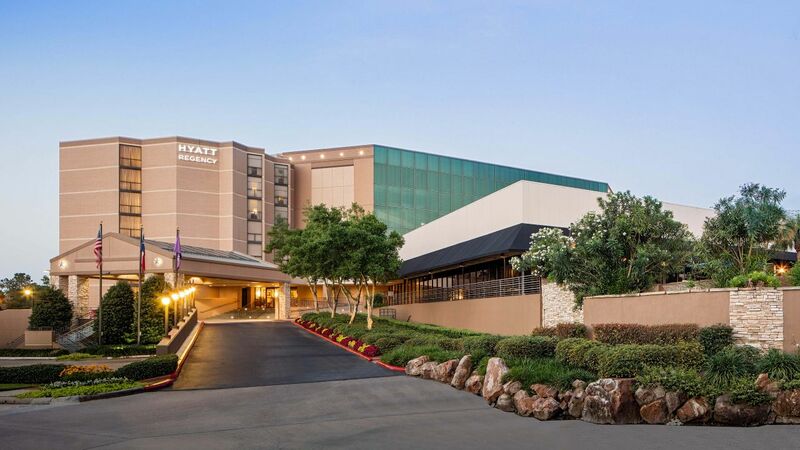 Our location near several top businesses—such as Halliburton Energy, Exxon and GE—and convenient amenities makes our Hyatt your top choice for business travel. 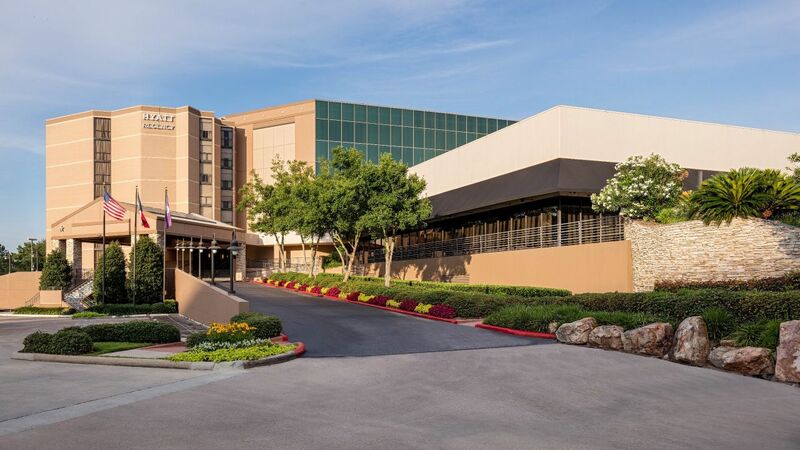 And thanks to our full-service 24-hour Business Center, you can always finish any last-minute business items before your conference or meeting. 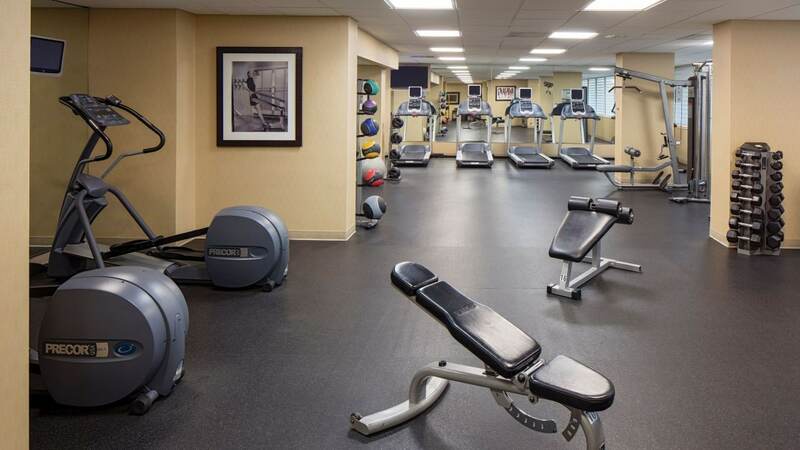 The 24-hour fitness center at Hyatt Regency Houston Intercontinental Airport is the perfect solution to decadent dining downtown. Capitalize on Precor cardio equipment like treadmills, ellipticals and bicycle machines. Encourage hesitant friends with low-impact Pilate’s props and user-friendly, muscle-toning free weights. Accessible at your convenience, the gym displays three 32” flat-screen TVs for morning news shows and late-night programs. Enjoy your favorite music when you connect to free Wi-Fi. Escape to a swimming oasis that looks and feels like a tropical spring. 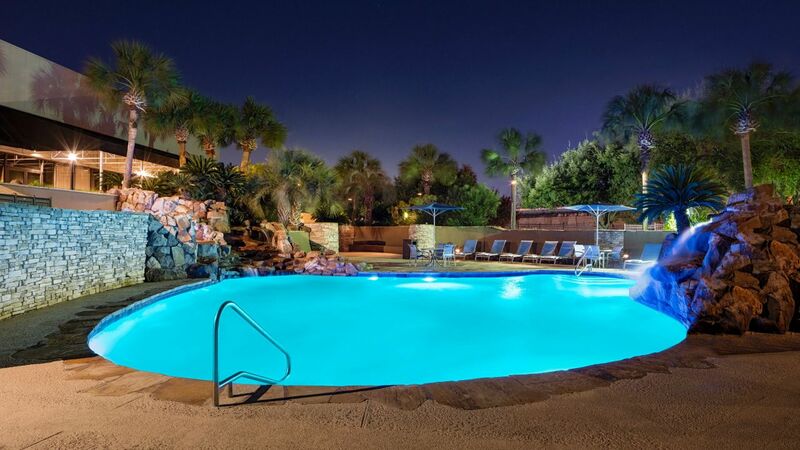 Refreshing water, cascading waterfalls, stone walls and fragrant flowers are a few of our pool’s eye-catching features. 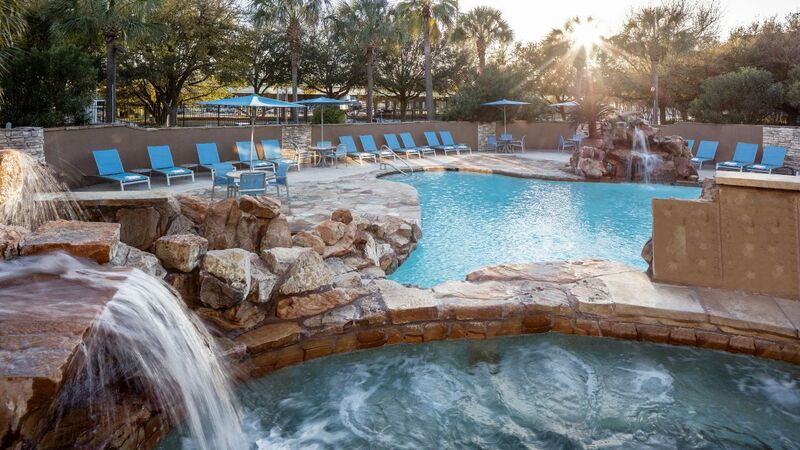 Sit on the pavers with your feet in the whirlpool spa, or elevate your road-weary legs on a plush, reclining lounge chair. 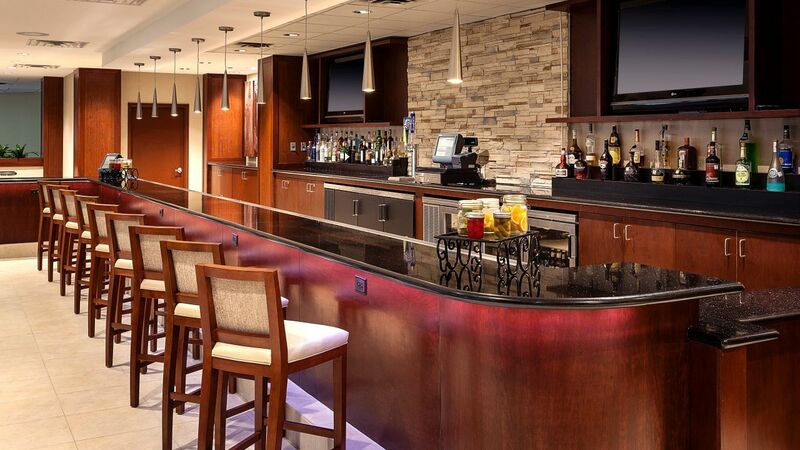 Send a simple request for snacks or drinks while you sunbathe and our Sam’s Bar & Grill will spring into action. The palm fronds and large umbrellas cast the perfect amount of shade for any summer day in North Houston. offers a 24-Hour Sundry Shop. 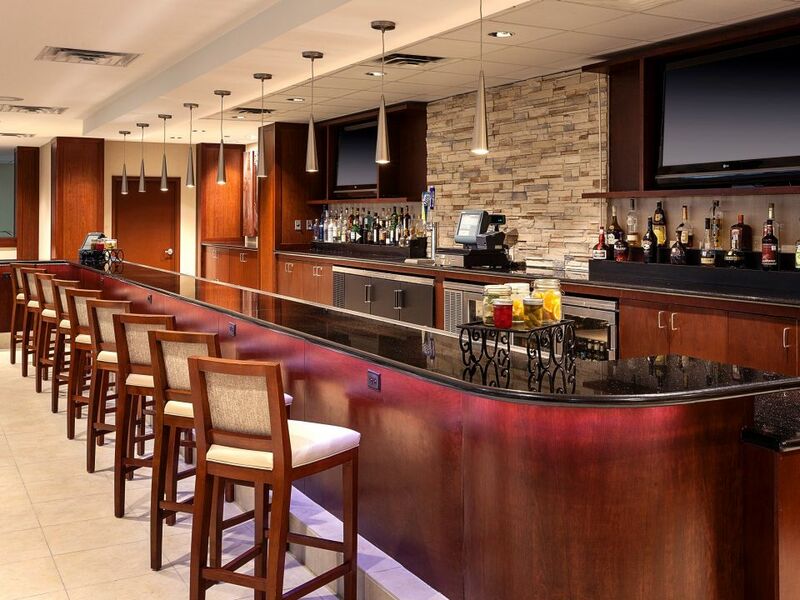 This 24-hour food and convenience store at our Houston hotel offers travel gear, snacks, beverages, newspapers, books and bath items and sun products. 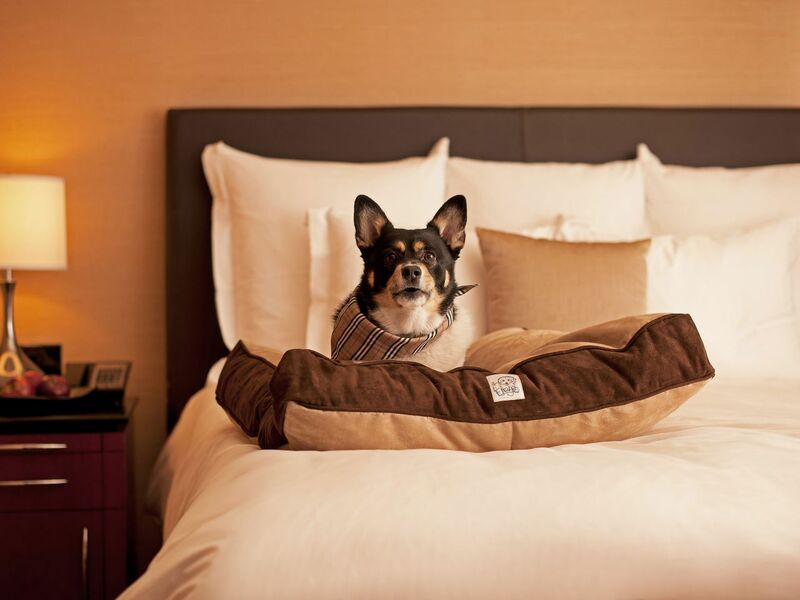 If there is anything else you need, feel free to call upon our friendly concierge. 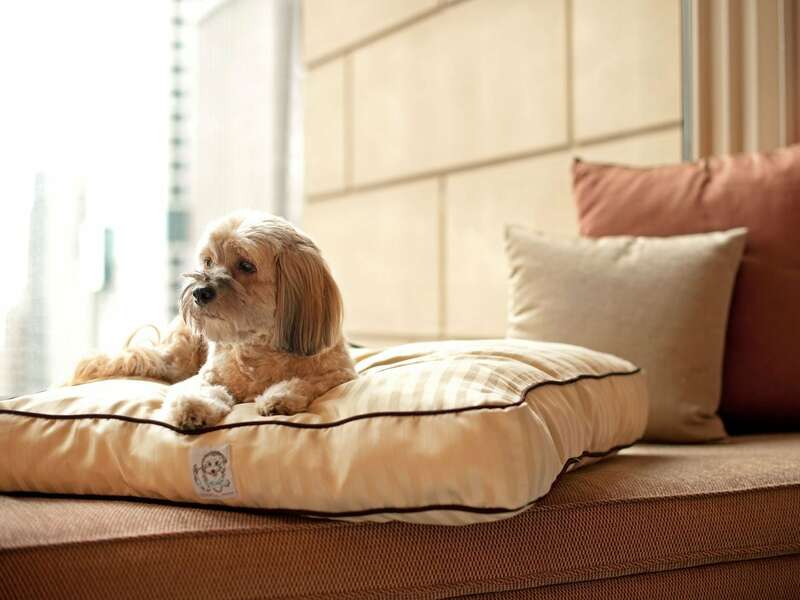 Don’t travel all the way to Houston and regret leaving your furry friends behind! 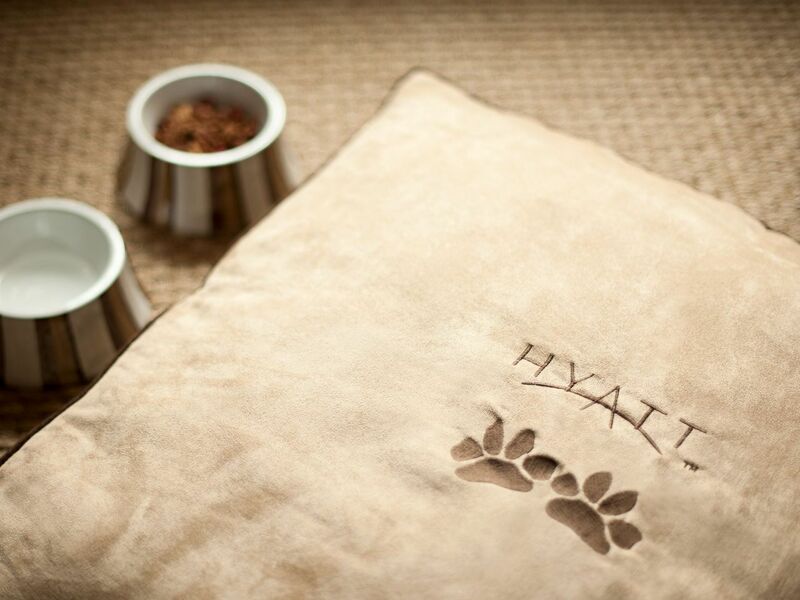 Hyatt Regency Houston Intercontinental Airport welcomes you and your pup! You can bring one dog with a weight maximum of 50 pounds or two dogs with a maximum weight of 75 pounds. 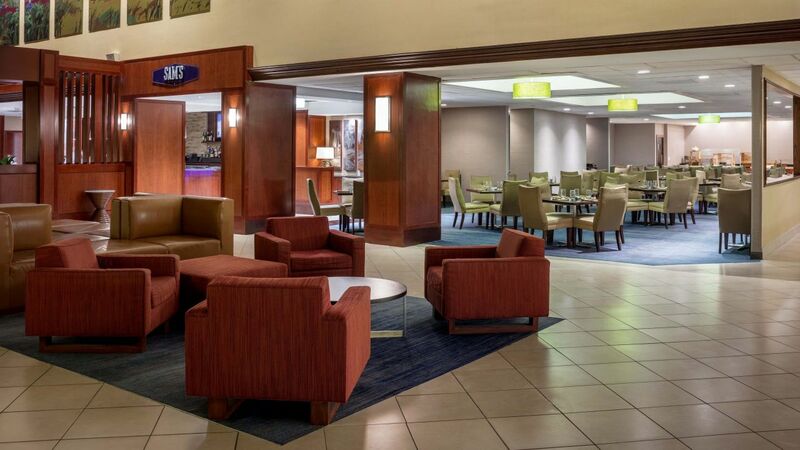 From Tex-Mex and seafood to classic American dining, you can find something to satisfy your craving within minutes from Hyatt Regency Houston Intercontinental Airport. Visit Sam’s Restaurant and Bar for a quick meal to-go, or a romantic dinner for two. Stop by early for breakfast, or late for a drink at the bar. Receive alternate dining recommendations by visiting concierge. 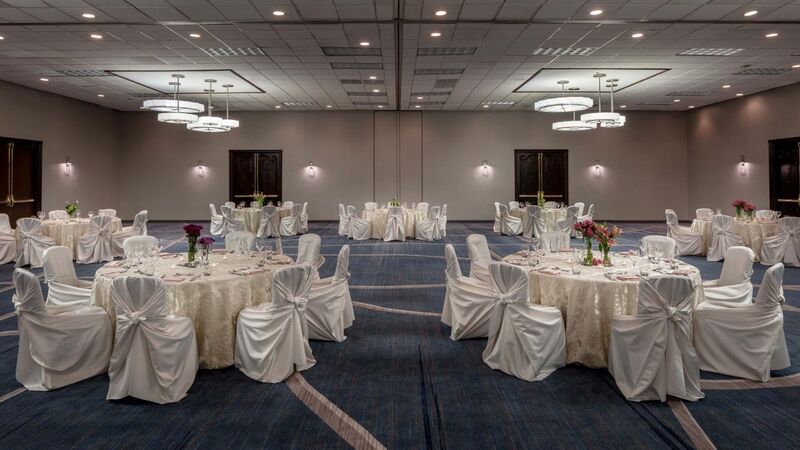 Our casually elegant hotel features beautiful wedding venues in Houston that can accommodate rehearsal dinners, bridal showers, wedding receptions and ceremonies in Hyatt fashion. 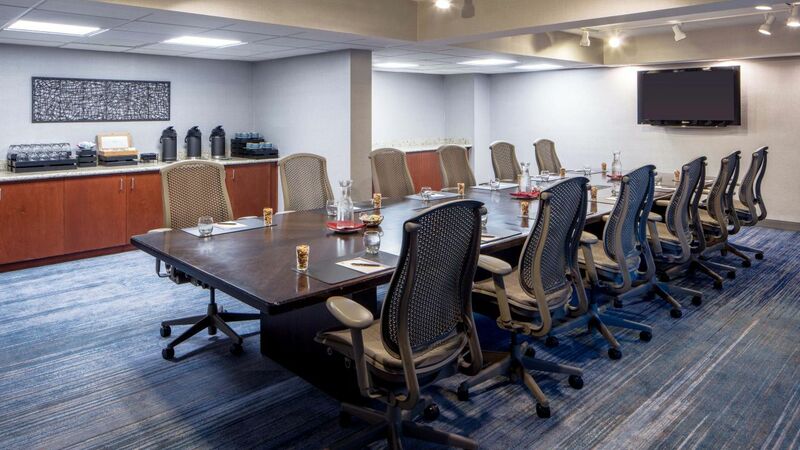 Start planning a conference, event or board meeting at the Hyatt Regency Houston Intercontinental Airport which features high-tech meeting space in the North Houston business area. 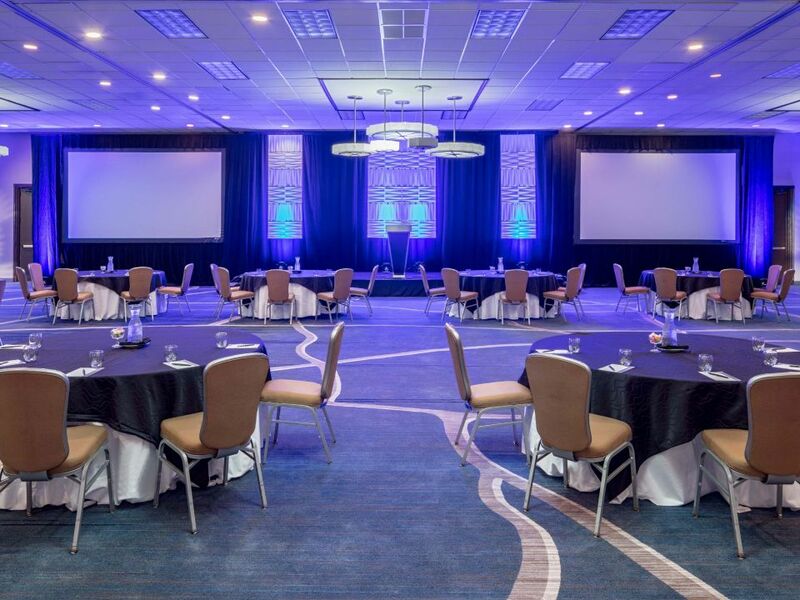 We plan and execute your Houston meetings with perfection. The staff was excellent, hotel was in good condition and the food was very good. We were there for a 5-day conference. The food servers and banquet staff were excellent. They were very attentive, professional, and friendly. 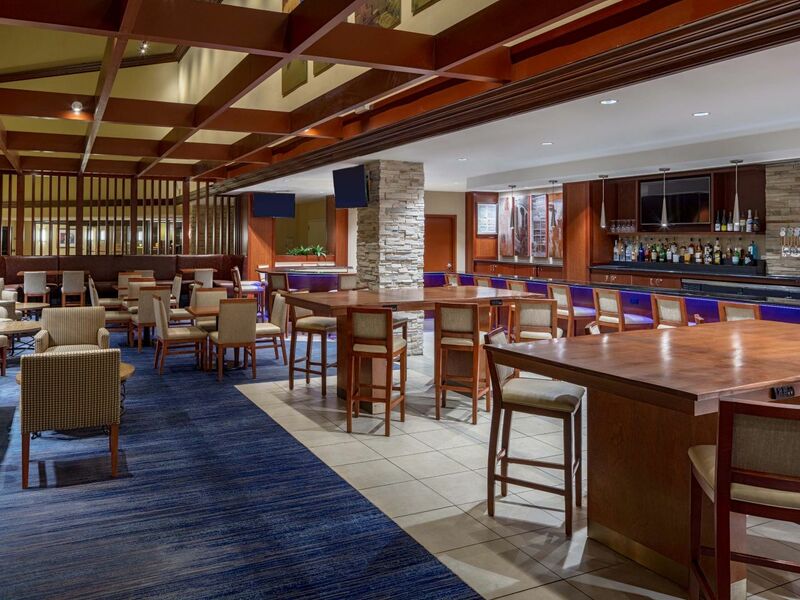 What else is happening at Hyatt Regency Houston Intercontinental Airport?